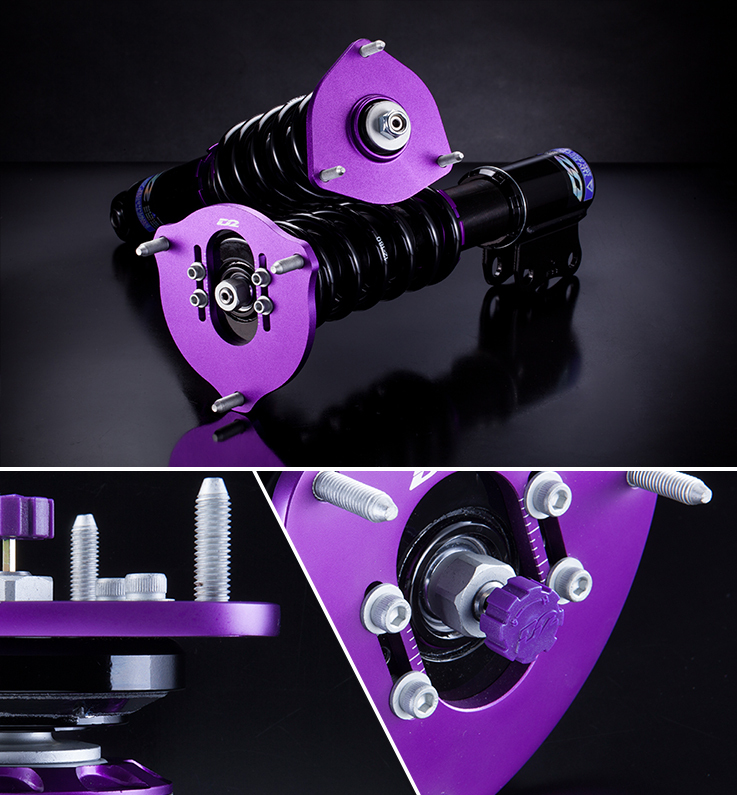 There are rubber top mount and pillowball rubber top mount of street McPherson coilover for your options, it also keeps the original comfort setup for 60%. 36-way damping setting is able to adjust the damping settings freely to meet the requirement of street setup and enjoy the hedonics of speed. The ride height adjustable function is able to prevent the spring perch to compress the spring and avoid the unusual sound. Besides, this function avoids the situation that you raise or lower the ride height too much and cause the spring perch does not snug the spring, which will damage the coilover. The ride height can be dropped 60~100mm from OE ride height for your reference. Camber adjustable Pillowball top mount is racing performance product purpose so it is easy to create some shock noise under some circumstances. Some people do care about the unusual sound made by the pillowball top mount, the pillowball rubber top mount is the best choice as it is able to reduce the unusual sound made by the pillowball top mount. Combined the handling of pillowball top mount and the comfort of stock top mount. Be able to absorb the jolt like the rubber top mount. It is suitable for McPherson suspension in street purpose.